In a medium saucepan, combine the quinoa and water (use chicken or vegetable broth for a richer flavor). Bring the water/ broth to a boil, reduce the heat to low and cover. Cook until all of the water is absorbed, 15 to 20 minutes. Fluff the quinoa with a fork and set aside. Transfer the cooked quinoa to a large baking sheet and spread it out evenly. Toss with balsamic vinegar and avocado oil and allow it to cool to room temperature. 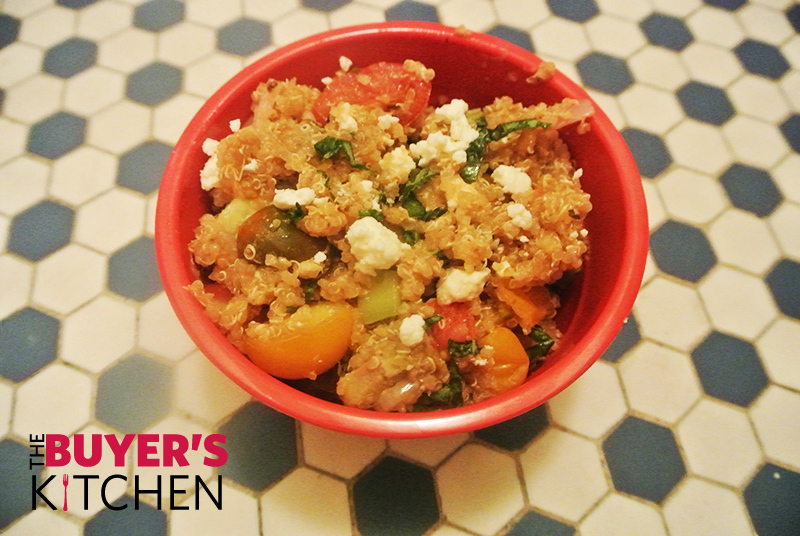 Transfer the quinoa to a medium-sized bowl; add the tomatoes, onions, olives, & oregano. Stir gently to combine. 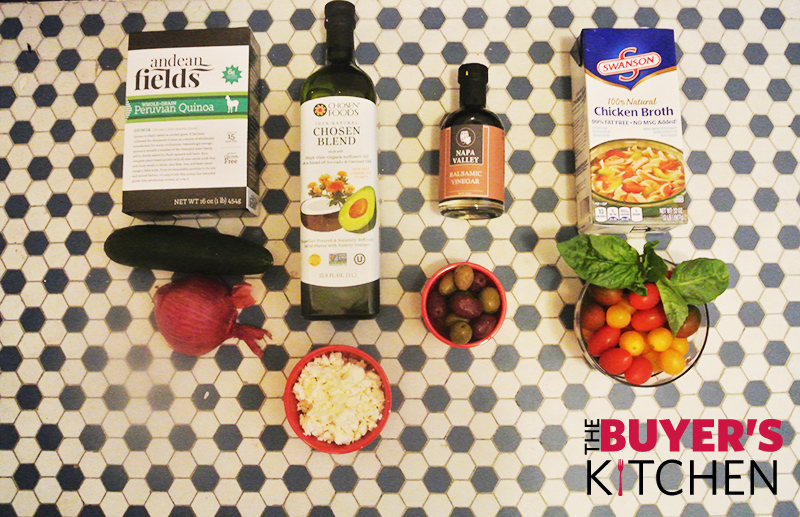 Pour the dressing over the quinoa salad and stir to combine. Sprinkle atop with the feta cheese. Garnish with fresh basil. Season with Salt and pepper to taste & serve! BONUS: Repurpose your leftovers with Lettuce Stacks! Just add three more ingredients to your basket! 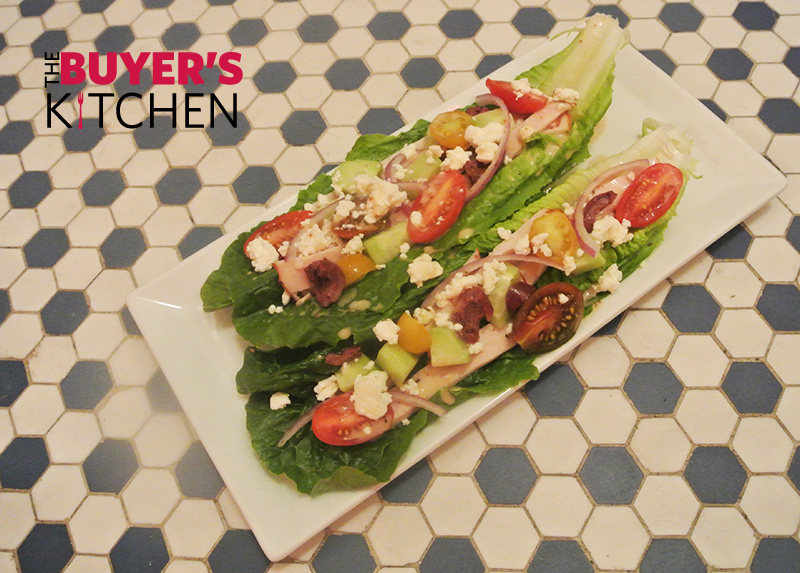 This recipe is more of a lettuce “stack” rather than a wrap! Which of course means—you can stack it will all of your favorite toppings! In this recipe; we are going for a more Mediterranean inspired “stack.” Using all of the same produce from our Quinoa recipe above, simply add your favorite lunch meat (or double up on veggies if you are not a meat eater) and an avocado and wrap it up in a large romaine lettuce leaf. 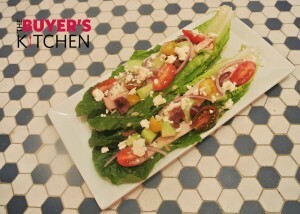 Butter lettuce is also a wonderful option! Place 1-2 large leaves of the lettuce onto a plate. Slice lunch meat into thin strips and stack atop the lettuce. 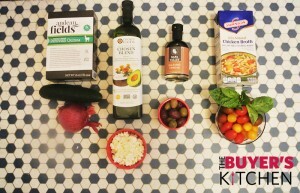 Continue to stack with desired topping, drizzle lightly with your favorite dressing and/or balsamic vinegar and enjoy!